Some of our greatest problems today come from the greatest and best things we have today. Let's consider youtube, one of the greatest and most comprehensive video and media library that exist today on the planet. Millions of songs, videos, and whatnot are on youtube, available for immediate playback right there on our android smartphones. But that's exactly our problem. It is great that youtube has millions if not billions of songs, video and media files available for playback, but how do we find the songs we want to hear while driving to work, for example? And after we found a song by or favorite artist or band, how do we play the other songs in the album without starting a search (which is impossible to do while driving, for instance ...) ? To solve these problems, we would like to introduce VideoJuke by TheAdJunkie Multimedia, an app that is supposed to solve exactly these problems. VideoJuke is an app that turns the smartphone into a smart jukebox. To activate it, all the user has to do is select a type of music genre, from Hip Hop to Jazz to Pop to Country and a lot more and then just sit back and relax as four hours of music play themselves out, without any further need for additional user input. 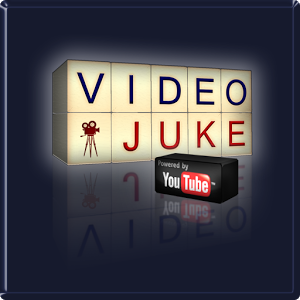 Of course, the user of VideoJuke can compose and modify playlists of his or her own, with any artists or songs her or she is interested on. Of course, these playlists can be published and shared among VideoJuke users, allowing users who are expert at a type or genre of music to share their best playlists with other users. The simplicity of VideoJuke is the beauty and the power behind the app. 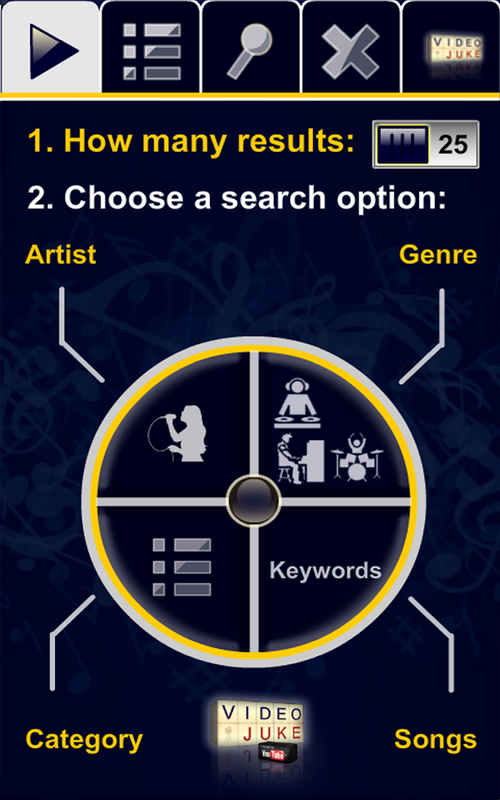 All the user has to do is start a search, selecting artist, song, genre or category. 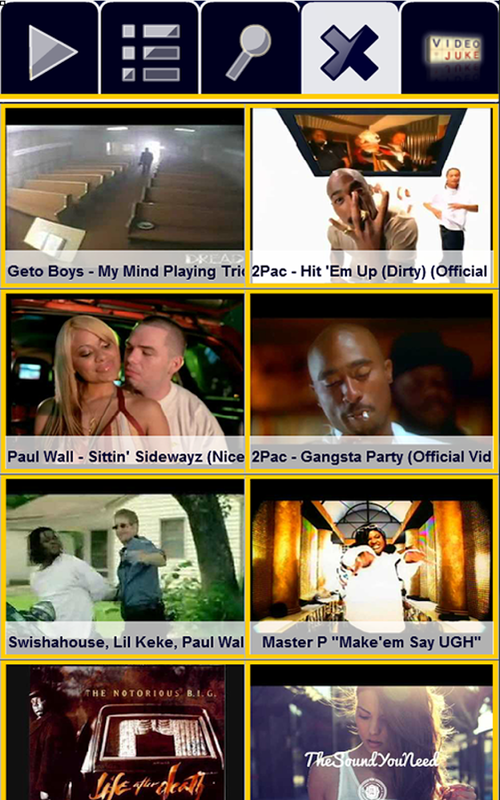 Then, the user selects out of the search results the songs and videos he or she is interested in and presto, a new playlist has been created in a few seconds. The app will automatically play all the songs one after the other, with no user intervention. Of course, just like a real jukbox, VideoJuke will connect to devices through Bluetooth and will even strobe the smartphone's flashlight in tune with the music to create the perfect listening experience whether we are driving our car or relaxing at home. Each genre has four hours of music and the user also has the ability to mix and hear genre after genre, in effect creating playlists of music thousands of hours long. VideoJuke is a sorely needed app in our media saturated online world and it transforms our listening and is really an important step in turning our android smartphones into real mobile media centers.